Creativity plays an important role in interior designing. Thinking out of the box, breaking rules or sometimes bringing in something traditional or completely new: all these ideas work at different times. Interior design concepts are based on the ingenuity of the designer. It is also based on, if the requirement of the client is met. As one of the premier interior services firm in Bangalore, we provide complete interior design solutions. Our interior design concepts always strive to be creative and unique. Whether it be commercial interiors or apartment interior designs or that of homes, there are different design styles.. Here, we list the top 10 interior design styles, used in interior design concepts. Our interior design Bangalore team is well versed in these styles. The contemporary style of interior design is realistic and focusses on functionality. A unique feature about contemporary style is its flexibility. It is ever-changing. Another advantage of choosing contemporary style, is that elements can be used from any era. Styles can be used from other ages. So even though a contemporary design is created, it can involve the use of traditional woodwork or furniture from the modern era. Eclectic style of interior design stems from the school of eclecticism. It is based on the belief, that nothing we do or believe in should be rigid. This design involves combing elements and styles from different eras. In this approach, it may seem similar to the contemporary style. But what makes it different, is that the elements are chosen with a particular motive in mind. Sometimes traditional items may be used, but new uses may be found for those. Different elements may be used, but achieving a cohesive and harmonious look is the aim. This kind of style reflects the look of an old warehouse or factory. It originated as sort of a challenge to match the primness and delicateness of the Victorian style. It became common in the mid-twentieth century, but has still taken time to be accepted as a style of interior design. In this style, every element used in creating it is displayed boldly. Modern interior design really means ‘mid-century modern’. Thought, it is the style that evokes the time between the 1920’s to 50’s, it is a favourite interior design style. Clean interior design and unadorned interiors are its features. Natural materials such as wood, leather or even linen may be used. Retro style décor is generally associated with the 1950s and 60s, but a popular style these days too. This style is particularly for people who like a dash of brilliant and vivid colours in their lives and homes. Colours like yellow, pink and orange may be used for wall colours. Not just walls, sofas, beds and even drapes come in brilliant colours. This style creates a sense of nostalgia and appears stylish at the same time. Even though the name may make it seem otherwise, the traditional design style is quite flexible. It incorporates the timeless and classic elements of interior design. Hence this style is not fixed for any era or age group. A sense of balanced symmetry is essential. Candles are used in pairs. Furniture is used in pairs and centred in the room. Dark wood such as cherry, mahogany or oak may be used. Casual, cosy and comfortable: this is what defines the country style of interior décor. Hand crafted furniture and vintage accessories may be used. Treasured possessions or even a precious collection of knick knacks find limelight in this style of interior design. People may also choose to decorate in the distinct farmhouse style, which evokes simple living. Even though this may seem less glamorous, our versatile interior services team in Bangalore will provide you unique and creative design ideas. Vintage interior design is more glamorous and incorporates elements of the old 1940’s. It evokes a sense of nostalgia and incorporates elements from history. Soft colours and an assortment of fabrics may be used. The ultimate aim is to create warm and comfortable homes. Asia is abundant with design ideas and inspiration. It creates a sense of exoticism and is perfect to create luxury interior designs. Our interior design team in Bangalore is perfectly equipped to handle the Asian style of interior design. Simple elements of this style create amazing interior designs. Examples include bamboo ceilings, colours in earth tones, furniture that is lower to the ground. Tuscan is a historic and beautiful Italian region known for its beauty. Hence, it has inspired a whole style of interior designs which is known as Tuscan style of interior design. A rustic, sun-baked look is characteristic of this style. Earthly colours are used, terracotta tiles are common and crumbing stone patios are often seen. Everyone wants a home that provides comfort without compromising style. This is especially true in the case of luxury interior designs. Modern interior designs are based on sleek and elegant interior design concepts. While creating luxury interior designs does involve using lavish interiors, this principle should not be compromised. Using rich furnishings, antique furniture and grand elements does help incorporate luxury. But at the same time, using too many elements may take away the highlight from the individual items used for designing. Being one of the finest interior service firms in Bangalore, we understand this and try to make it a hallmark of all our projects. The living room is often a place where the residents like to display their grandeur and style. Well-designed living rooms are inviting. Making a living room glamorous does not always mean the use of stunning colours. Sometimes the use of pure white in all elements, also creates a stunning effect. The kind of drapes used also play an important role. Sheer and clean fabrics convey a sense of elegance and class. When the living room contains collectibles and unique objects, accent lighting can be used. Many such home interior design ideas use accent lighting to create specific focus in certain areas. Sometimes clients wish to capture the classic and timeless eras in their living rooms. Our versatile interior design team in Bangalore is capable of handling such projects. The vintage and classical eras always inspire great interior design concepts. Using antique furniture invokes a sense of history. Sometimes clients prefer to use a common theme for designing the entire home. Taking their interests in mind, elements of a specific era can be used for designing. But at the same time, this does not mean being stuck in a particular age. Contrasts can always be created. For example, hanging a piece of period art behind a simple sofa. This also creates a sense of flexibility and allows you to change your interiors, when you want to try something new. Accents go a great way in adding simple vintage touches to your living room. This is especially true when doing luxury apartment interiors. Wall clocks that display the old-world charm, rustic coffee tables, area rugs with ornate Persian designs, grand chandeliers in the middle of the room, are some examples. Our interior designs in Bangalore all focus on detail. So, we pay close attention to simple details such as the type of door knobs or cabinet handles used. If opting for a traditional classical look, these can be made in copper or bronze. Wall decals also help achieve the traditional effect. At other times, displaying a giant size picture of the family on the wall or above the mantelpiece is also a good idea. Using minimalistic furniture against a white or black backdrop is a classic modern design concept. Nothing conveys class and elegance more than this design concept! At the same time, using a bright wall colour and contrasting it with simple accents and softer coloured furniture and elements also helps. Another favourite among home interior design ideas, is using an unobstructed wall of windows. This helps create a bright and airy effect, especially in apartments. Extra-large coffee tables convey a contemporary sense and also come in handy when entertaining large numbers. Sometimes adding metal touches to a room also creates a sense of class and elegance. Using silver framed mirrors, tables with metal ends or using metal accents in the fireplace are such examples. No matter the size of the home, our interior services in Bangalore can help achieve these effects. Our interior designs in Bangalore always take into account the sense of class and style of the client. To achieve this, we provide complete interior design solutions. Decorating a space requires creativity and the proper balance of elements involved in it. Sometimes it also requires a stroke of genius. For it is indeed that quirky little modification here and there, that creates a unique design. The best interior design ideas are ones that not just create amazing spaces. They also bring into perspective, the lifestyle, likes and dislikes of the people living or working in it. We realise this, being one of the premier interior design firms in Bangalore. Our interior designs in Bangalore are created, having worked with several residential and commercial clients. To us, a great design is achieved only when our designing solutions match the tastes and requirements of our clients. We offer customised interior services in Bangalore. Our home interior design ideas revolve around creating inviting living rooms, comfortable bedrooms and functional kitchens. The choice of colours and use of elements plays a key role in creating a sense of harmony and balance. In apartment interiors spaces such as living rooms need warm and neutral colour palettes. Rather than making things cluttered, the arrangement of furniture should help create open spaces. This illusion can be created, even when there is not too much space. 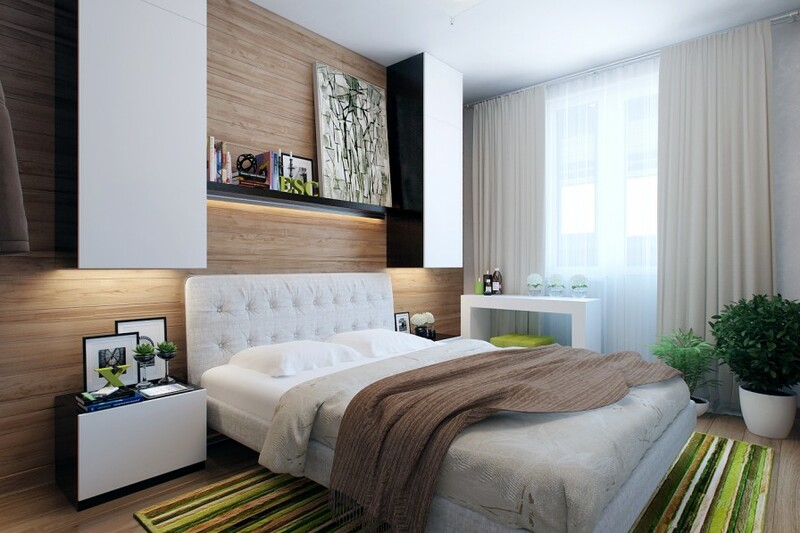 Bedrooms look best, when they create a sense of peace and make you feel comfortable. They should let you feel away from the chaos of the world outside. Bright colours should be avoided in bedrooms, as they will not help you feel relaxed. Choosing the right size bed that doesn’t make the bedroom appear small, is also important. Kitchens require a lot of functional space. But at the same time, it should be a place that makes cooking fun. Elements need to be included in consistence with the character of the family. Cabinets that go all the way up to the ceiling are important. This is because, if space is left above it, dust will gather. But while creativity knows no bounds, it is important to not over-decorate! That is the hallmark of a good modern interior design. Interior designing for commercial spaces always requires careful thought. This is because, the space has to echo the philosophy and brand image of the company. In offices, it also has to be a space that encourages creativity and creates a good work atmosphere. One way to encourage this atmosphere is by delimiting work spaces. The conventional idea of working within the cubicle only, doesn’t work anymore. With mobile work devices, conventional desks are not needed. While designing retail spaces, a bold and vibrant look is preferred. This helps attract customers. There should also be optimal space for customers to walk around and explore the contents comfortably. Innovative ways to organise merchandise is also essential. Displaying items on different levels makes it more visually appealing. When it comes to restaurants, colour, lighting, open spaces and décor are equally important. Even if a perfect ambience is created, it is futile if the maximum capacity makes the restaurant crowded. Designing the seating is also important. No customer wants to sit at the one badly placed table in the restaurant. Using wall décors, partitions or plants can help avoid this. The best interior design ideas are ones that not just create amazing spaces. They also bring into perspective, the lifestyle, likes and dislikes of the people living or working in it. We realise this, being one of the premier interior design firms in Bangalore. Our interior designs service in Bangalore are created, having worked with several residential Interior and commercial Interior clients. To us, a great design is achieved only when our designing solutions match the tastes and requirements of our clients. 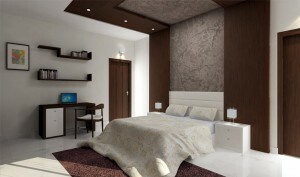 We offer customised interior services in Bangalore. In apartment interiors, spaces such as living rooms need warm and neutral colour palettes. Rather than making things cluttered, the arrangement of furniture should help create open spaces. This illusion can be created, even when there is not too much space. Whatever be the project, we offer complete interior design solutions. Our competent team of interior design in Bangalore can handle a variety of requests. In residential projects, the style and taste of our clients are incorporated in our designs. In commercial projects, we try to create interiors that reflect the brand image and philosophy of the client. We can create both contemporary and traditional designs. We are also adept to create luxury interior designs. In the end, there are two factors which determine the best interior design ideas: creativity and customer satisfaction. All our interior services in Bangalore, echo this.